Earlier this month, Dexcom shared compelling new details on its longer-wear, less calibration G6 sensor and its partnership with Verily to develop a bandage-like continuous glucose monitoring (CGM) device. The G6 sensor is expected to launch in 2018, while the first-gen Verily sensor will launch in late 2018, with a second-gen version coming as early as 2020. Read on for the new details! Dexcom showed new data from a 49-person trial testing use of the new G6 sensor over ten days of wear. The average error compared to lab measurement was just 8.1% with one fingerstick calibration per day (after startup), and an expected 8.8% error with no fingerstick calibration at all. Notably, 96% of G6 readings were within 20% or 20 mg/dl of the true glucose value, the strongest data Dexcom has ever released. Improving accuracy – and especially minimizing the error percentage – is important because a difference of plus or minus 20 mg/dl can have big implications in the hypoglycemia range. These early accuracy results are exciting, suggesting that the G6 will have better or equal accuracy to G5, with up to double the wear duration (10-14 days – wow!) and fewer fingersticks needed. A larger, 300-person pivotal trial is now underway to investigate. 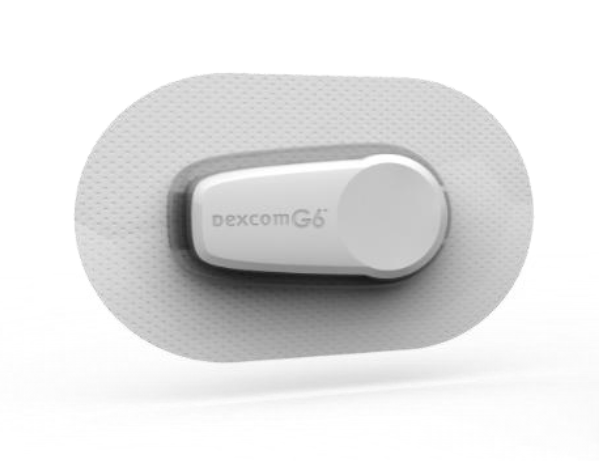 Dexcom said it plans to launch the initial version of G6 in 2018. And given the strong data seen with G6 use so far, Dexcom ultimately believes it can last for 14 days of wear with no fingerstick calibrations needed. Another standout in Dexcom’s pipeline is its partnership with Verily (the part of Alphabet Inc. formerly known as Google Life Sciences), which aims to develop two smaller, less expensive CGM devices. 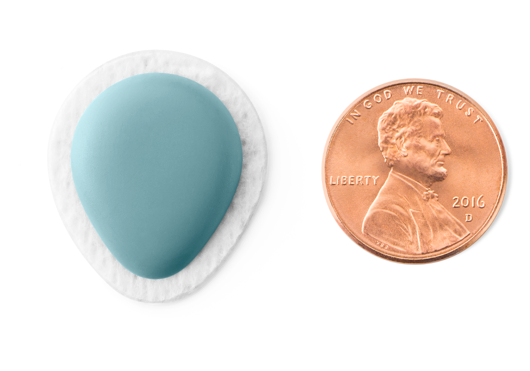 Earlier this month, Dexcom showed the latest pictures of the “thinnest CGM ever,” with less volume than an M&M and roughly the size of a penny – check out the picture below of the second-gen device! This would dramatically reduce the size of CGM on the body, hopefully make it less expensive, and bring the technology to far more people than are currently using it (only about 1-in-5 people with type 1 in the US use CGM, and far fewer people with type 2 diabetes). The Dexcom/Verily project will use the G6 sensor and is expected to need no fingerstick calibration, to be approved for making insulin-dosing decisions, and to communicate directly with smartphones via Bluetooth. A first-gen version (smaller than FreeStyle Libre) is expected in late 2018, while the smaller second-gen version pictured above is expected as early as 2020. 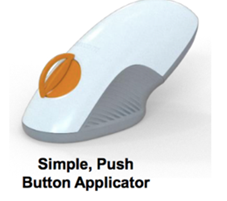 A smaller transmitter and a new one-button applicator are currently under regulatory (FDA) review in the US. An Android version of the G5 app is currently under FDA review, with launch expected in late 2016 or early 2017 in the US. A new touchscreen receiver is currently under FDA review. An insulin-dosing label claim is hoped for in early 2017. This would mean that a confirmatory fingerstick test is not required before giving insulin. FDA discussions continue following the positive Advisory Committee meeting in July. Medicare coverage is hoped for in 2018.